Just because you love fashion, but don’t know how to sew… doesn’t mean you can’t be a designer In today’s look I show off a jacket of my own design! 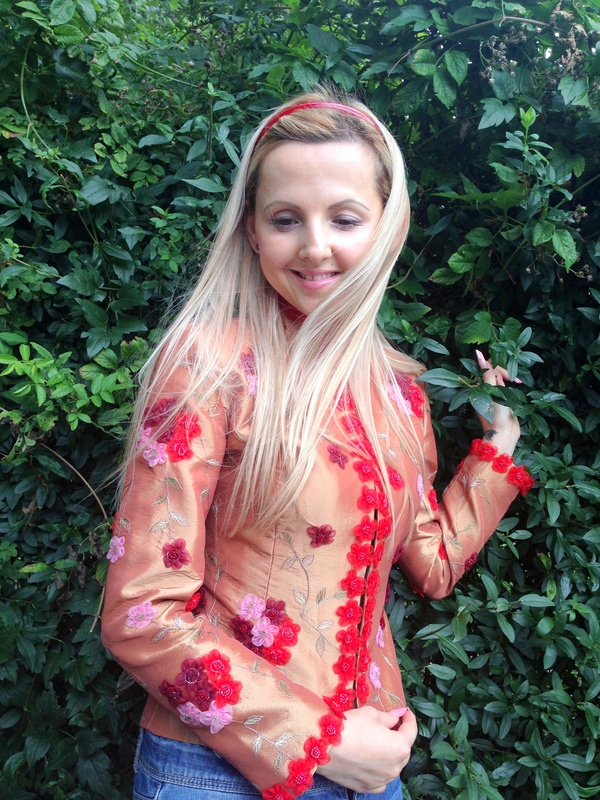 This vibrant flower jacket was completely designed by me. I seen this fabric while shopping in the city loved it so much, that I bought it. About a month later, I took my design inspiration to my taylor and had it custom made. Taylor are a must in a fashion girls like – for repairs, personal fits, or even custom designs. There is almost nothing a good taylor can’t do!